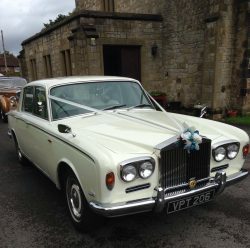 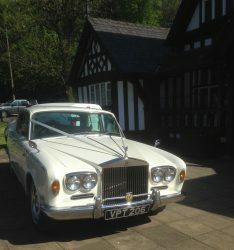 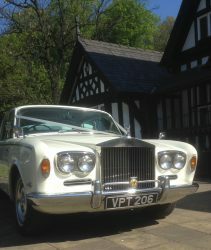 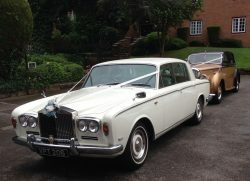 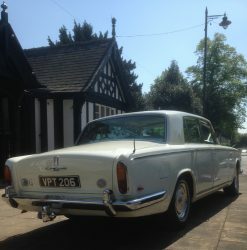 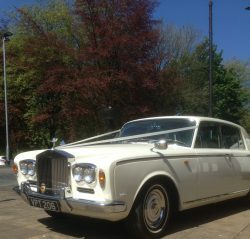 The Rolls Royce silver shadow Mk-1 finished in ivory is probably the best known and traditional bridal car. 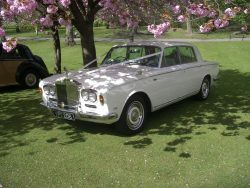 This car offers the ultimate in supreme craftsmanship and unrivalled elegance. 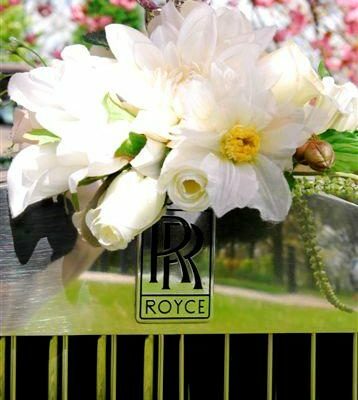 The style and distinction that only the Rolls Royce can offer will ensure that your day has that unmistakable touch of class. . 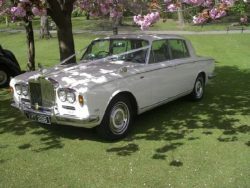 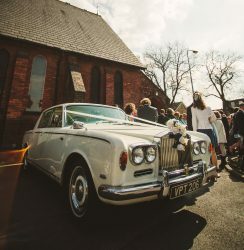 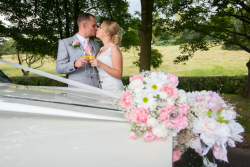 Silk flowers decorate the inside and outside of the vehicle which are made by carol herself to suite the colour scheme of each individual wedding, while white silk ribbons are decorating the exterior to complement the colour of the car. 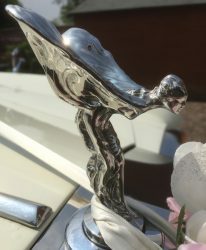 The interior of the car is of the finest quality and undeniably beyond comparison. 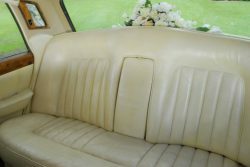 The beautiful cream leather seating compliments the highly polished walnut trim. 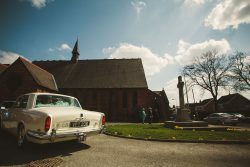 The floors are covered with lambs wool rugs with foot stools to accompany them. 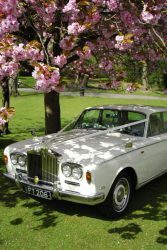 This provides the most exquisite surroundings for any bride on her most special journey. 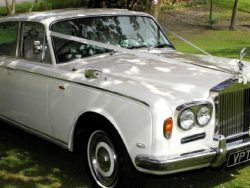 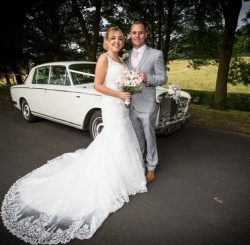 Carols Wedding Cars can guarantee a luxurious and memorable experience in a bridal car of outstanding quality and class. 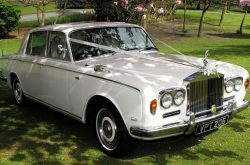 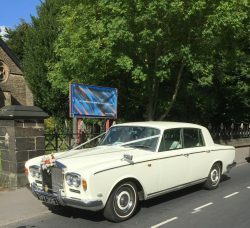 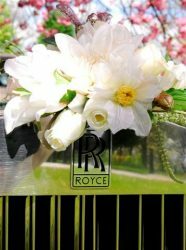 The Rolls Royce is easily one of the most popular vehicles in use today for the transportation of a bride on the most special day of her life.